People buy many things, and most of them are into clothing. And in the apparel industry today, there’s no doubt that Japan is one of the leading producers of clothing in the country. 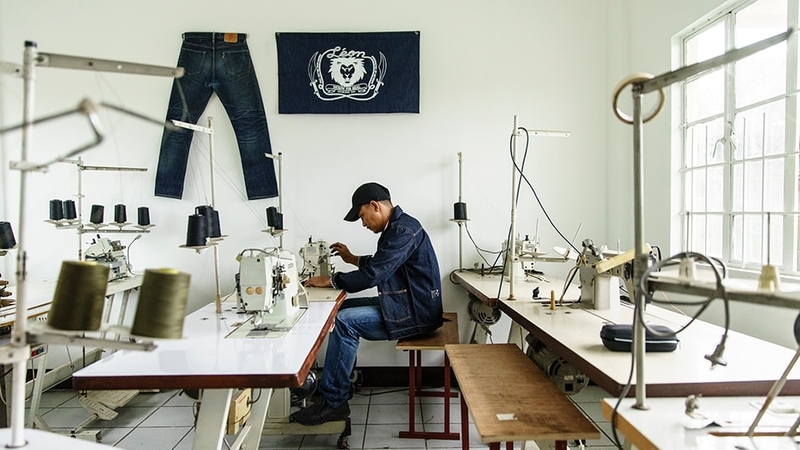 But recently, there has been rumours on the newest craze in local fashion – Leon Denim – the very first locally-made Selvedge jeans producer in the country. A lot of jeans and denim enthusiasts have always been fascinated with the design of selvedge jeans, not just the concept, but also the story behind it. While most people look at the obvious: fit, cut, colour, and the little white strips of fabric on the sides of the jean cuffs, dedicated jeans enthusiasts look beyond that. They tend to wonder where these types of jeans were made instead. They think about a bunch of questions: What were the materials used for the product? Where did they get their supply? Zimbabwean cotton, or Turkish cotton? And how do you wash the specialised jeans? 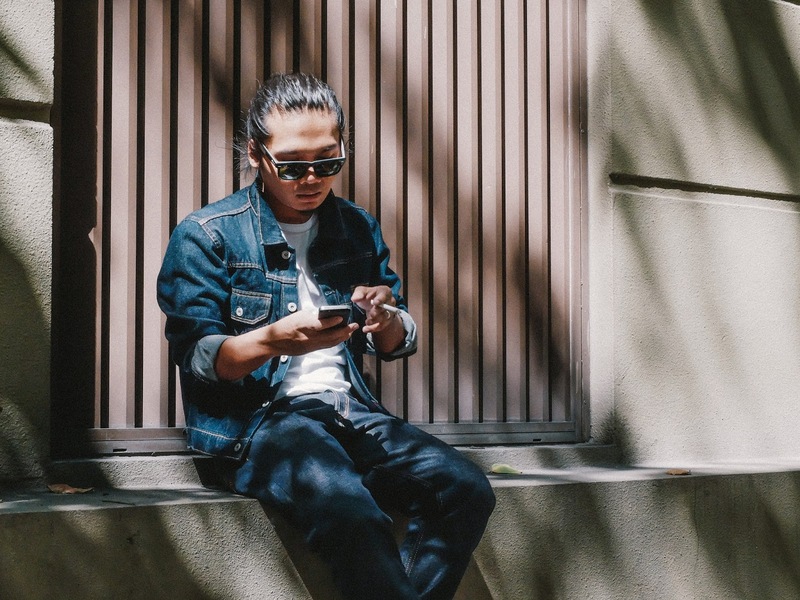 Although selvedge jeans is pretty much unheard of in the Philippines, there has been a few like-minded Filipinos that have taken an interest in this sort of fashion. And together, they form a community of stylish nerds, and they often buy and experiment on their jeans, such as dyeing and soaking it in an attempt to make it more unique. Before Leon Denim was founded, Japan and U.S were the major key players in the production of selvedge jeans around the world, alongside Canada, France, and Sweden, and a few Asian countries such as Malaysia and Indonesia. As such, Leon Denim is proud to be the first and only Filipino-made selvedge denim lifestyle brand, using premium raw Japanese selvedge denim materials to create quality products. And just like other well-known Japanese selvedge jeans producers that have been around for a long time, Leon denim uses the traditional method to make their products in the style of mid-century Americana clothing (think Levi’s 501s, work jackets, field coats, military garb, Red Wing boots et cetera). Selvedge jeans have always been a cultural clothing, and now the Philippines has its own line of it. “When you hold our products, you know there’s value to it. It was made properly, following heritage processes and machines. They’re faithful reproductions of all these traditions,” said the Leon brothers, Jake and Albert Antig, who are also founders of the brand. “My grandfather, he’s a style guy,” said Jake. He even recalls shining his granddad’s shoes and a barber coming to their house to cut their hair every Sunday. The two brothers grew up in a health-oriented family, who are active subscribers of men’s health magazine. And because of this, both of them were well-educated in healthy diet and naturally, they were also immersed in the latest clothing trends in the country. When Jake started working as an IT specialist for different clients around Asia, he found himself collecting his own stash of stylish magazines. “At one point, my room was filled entirely with these magazines. That’s how I learned about fitness, and how clothes should drape. And I’ve always been curious about how things are put together. I study these things with an engineering mindset,” said Jake. Albert even recalled a memory of a time when he learned how tapered jeans with boots can make you look taller, from an exclusive magazine featuring well-known actors Tom Cruise and Ryan Gosling. Months passed and they meet Iver Aldas, a professional photographer who later referred them to his friend, Raul Lejano, who shares the same interests as the two brothers. “I really love well-made stuff,” said Raul, as he goes into detail of how it all started. And from there, their passion slowly doubled as their work. They began manufacturing their own selvedge jeans, though it was made for personal use at the start. Several organisations started taking note of their work and began filing orders for them. Soon, the duo began to import small batches for the company through a Californian website, hoping for the Philippines to be recognised as a player in the industry. “We knew what we wanted, but we didn’t know how to execute it,” said Jake. After a while, they stumbled into a tailor who used to work for Levi’s back when some of the now-coveted, pre-1971 “Big E” Levi’s jeans were made here in the Philippines. He was also a member of an online forum for denim enthusiasts, so he had plenty of knowledge and experience. They urged the tailor to experiment with their imported fabric to try and make the same products he used to make for Levi’s. There were plenty of trials and errors throughout the process, but the team never lost hope. Sometimes, then even opted to use fabrics from Divisoria for testings. “We tell others that we make it in the same way as the guys in Japan make them, and we’re not fibbing when we say that. There are actually people in the Philippines who can do it,” said Jake. After a lot of trial and errors, they were finally able to get the hang of it. The only thing missing is making it into a brand that’s going to be distinguished in the Philippines. “We ended up looking at machines from all over the place – from old factories that have closed down, to old tailors who were letting go of stuff because they’ve already closed shop,” recalled Jake. Despite facing many struggles, they eventually were ready to release their products into the market. When it came to the style of the jeans, they only have traditional to slight modern adaptations, meaning they strictly stray away from the skinny jeans industry. Their products mainly compose of wide and regular fits, to slightly slim designs. They also put specialised rivets, buttons, and stitching that are characteristic of the old-school American blue jeans that were distilled into an art form in Japan, among brands like Momotaro, Fullcount, and Studio D’Artisan. “We want to make that level of attention that goes into the product more accessible,” said Raul, noting that their jeans are incredibly affordable, especially when compared to the Japanese brands that are sold here. And like the cult that it is, there’s a profound persuasion about clothes that can tell these kinds of stories. “Once you wear this type of stuff, you don’t like the normal ones anymore,”.